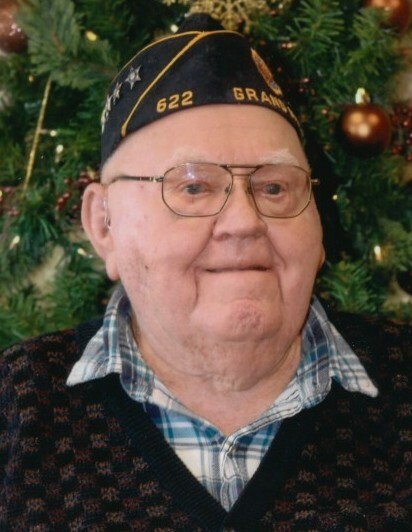 Mr. Albert H. Pries, 100, of DeWitt died early Thursday morning, January 31, 2019, at Westwing Place, DeWitt. Albert Harvey Pries was born August 28, 1918, near McCausland to the late Chris and Helen (Bojart) Pries. He was employed by Franks Foundry for several years. During World War II, he served in the United States Army Infantry Division in northern France, Germany and the Aleutian Islands. Al married Anna Bucks February 17, 1951, at St. John United Methodist Church, Davenport. They couple farmed in Scott and Clinton Counties before retiring and moving to DeWitt in January of 1983. His wife preceded him in death following 62 years of marriage on December 14, 2013. He was a member of the Grand Mound American Legion Post #622, Clinton Moose Lodge #363, Plus 60 Club and AARP. Al enjoyed following sports of all types, traveling and gardening. The couple were proud to have traveled to 49 continental United States. Al was known for raising good hogs and he often won the open show at the county fair. He also had a great love for dogs. In addition to his wife and parents, Al was preceded in death by two brothers and two sisters. Visitation will be from 9:30 until 10:45 a.m. Tuesday, February 5, 2019, at Schultz Funeral Home, DeWitt. A service with military honors will be held at 11:00 a.m. Tuesday in the funeral home with Pastor Mike Rollings officiating. Burial will be at Davenport Memorial Park. Memorials are suggested to the Clinton County Fair.